Food is a global language. 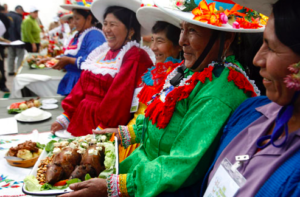 Preparing and eating food are daily acts that bind cultures, connect people and humbly celebrate the simple joys of what it means to be human. One of the most unassuming ways to immerse yourself in a foreign culture is to eat as the locals do. Here is our list of some of the most weird and wonderful delicacies from the world over. Asian cultures do not shy away from lesser known flavors. 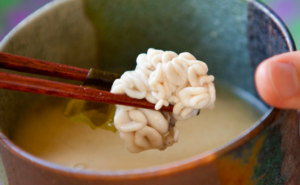 This delicacy is otherwise known as ‘white children’, the sperm of either a cod or puffer fish are said to have a surprisingly sweet, custard-like taste. These duck eggs are boiled in water and then eaten with salt, chili and vinegar. The unusual feature of this dish is that the egg still holds a duck fetus. You’re traditionally supposed to crack a small hole in the egg, gulp down its juices and then eat the fetus whole. Fat is usually a part of a meat dish that is discarded without too much thought. That’s not the case with this Eastern European delicacy. 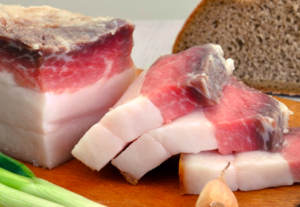 Pork fat is cut into thick slabs, smoked and traditionally served on a slice of rye bread. The country loves lard so much it even has an annual festival to celebrate the beloved dish. This might have many of readers recoiling in disgust but Cambodians love this popular street food. 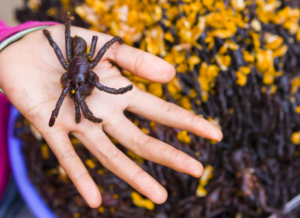 The Tarantulas are spiced, deep-fried and then enjoyed as a tasty snack. 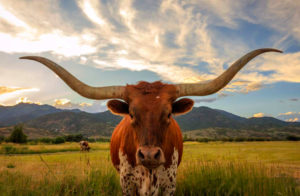 They are packed with protein and local myth holds that the ingestion of these critters will enhance the consumer’s beauty. Otherwise known as Rocky Mountain Oysters, this dish has little to do with seafood. The ‘oyster’ is, in fact, bull testes. They are commonly spiced, fried or stuffed and served with a variety of dipping sauces. This is cowboy cuisine at its finest. Be warned; this is not your average boiled egg. 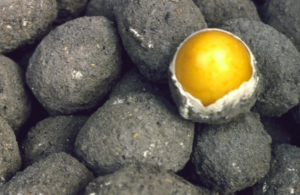 These eggs are covered in clay and left to ferment for months. The result is said to have a salty and sulphuric taste with a pungent scent. 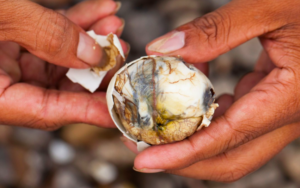 The practice of preserving and eating the duck, chicken or quail eggs have been around for six centuries. You may have heard of Haggis, but we’re here to clarify what this Scottish dish is actually made of. 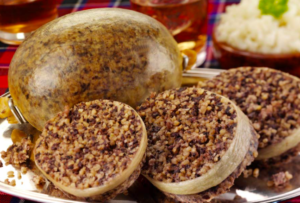 Haggis is a meaty mixture of sheep’s heart, liver and lungs, onion, oatmeal, spices, and meat stock. The mix is traditionally stuffed into a sheep’s stomach and simmered in boiling water. The hearty meal is served with mashed potatoes and dates back to the 1400’s. Animal lovers may be aghast to discover that Cuy is Guinea Pig. The adorable rodents are actually a much-loved dish in Peru. The Cuy is traditionally deep-fried and served with potatoes. Guinea Pig meat was an important part of the colonial diet of the local people and has recently experienced a resurgence in popularity. 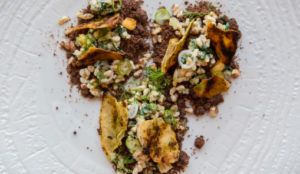 We know that ant larvae might not sound appetizing at first, but this Mexican dish is supposedly delicious. Escamoles are most commonly pan-fried with diced onion and chili. The mix can either be eaten alone or served in a taco. They are said to have a surprisingly nutty and buttery taste. 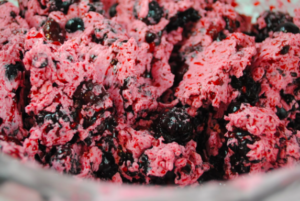 More fondly known as Eskimo Ice Cream, this frozen and creamy mix is made from a bizarre – but apparently delicious – mix of ingredients such as fish, berries, dried salmon eggs and reindeer fat. More recent additions have included sugar in order to make the dish a little more appealing to the unaccustomed tongue.